In 1939, William H. McDougall was a newspaperman from Salt Lake City who quit his job and went to work for the Japan Times, an English-language newspaper in Tokyo, and later for the United Press, for which he covered the Japanese occupation of Shanghai and the fall of the Dutch East Indies (Indonesia). When the ship on which he had escaped from Java was sunk, he reached the island of Sumatra, where he was captured and imprisoned by the Japanese until 1945. McDougall’s letters to his family offer a rare and detailed look at daily life in Tokyo and in Japanese-occupied Shanghai during the months leading up to the Pearl Harbor attack. After his imprisonment in Sumatra, he began keeping a daily journal of his experiences as a POW. 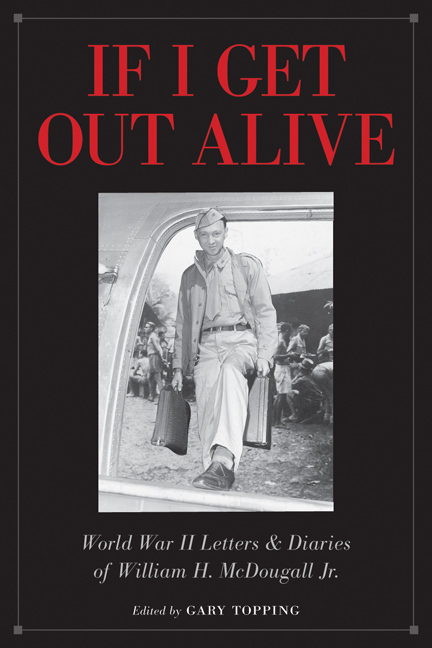 Published here for the first time are the journals he retrieved at the end of World War II. Written by an articulate and perceptive professional reporter, McDougall's letters and diaries offer an intimate, personal narrative of conditions in wartime East Asia. William H. McDougall Jr. (1909-1988) published two books about his wartime experiences: Six Bells Off Java and By Eastern Windows. He entered the Roman Catholic priesthood after the war. McDougall was rector of the Cathedral of the Madeleine in Salt Lake City until his retirement in 1981. Gary Topping is professor of history at Salt Lake Community College and archivist of the Roman Catholic Diocese of Salt Lake City. He is the author of Utah Historians and the Reconstruction of Western History. "Both the writer and the editor have done a great service to history. As Topping notes, this may be one of the most important diaries of the entire war."